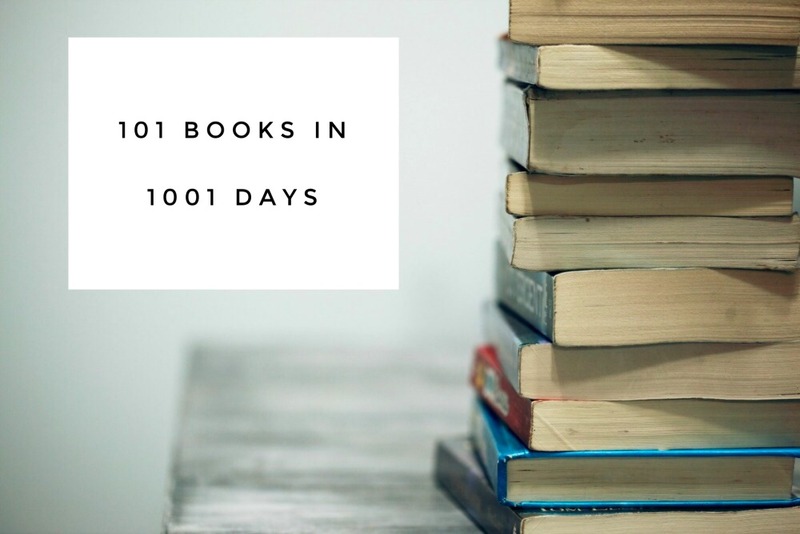 One of my things to do on my list of 101 Things To Do in 1001 Days is to read 101 books in 1001 Days. As a child I always loved reading and always had a book in my hand. As an adult, I seem to have swapped books for the bright lights of electronic devices. I tell myself I don’t read because I don’t have the time but the truth is, I do have the time, I just chodse to use it doing other things. I started reading in an effort to improve my sleep hygiene (yes, that’s totally a thing.) Instead of watching TV right up to the minute I crawl into bed, I go to bed earlier and spend at least 15 minutes curled up with a book. I’m not sure if it reading really improves the quality of my sleep (thanks to having no thyroid and impending menopause,) but it has certainly rekindled my love affair with books. As a wannabe minimalist, I borrow the lion’s share of my books from the library (or kind friends,) although when I’m travelling I prefer to buy my own books and then the charity shop is my favourite place to purchase. I like to minimise books that I’ve bought and read, nothing gives me greater joy than passing on a book that I’ve loved to someone else. That said, if it’s a book that I know I will read and read again, I’ll keep it on my shelf. Because although I’m a wannabe minimalist, I also have hoarding tendencies. Lately I’ve been sharing the books I read on Instagram and Facebook and it’s really opened up a conversation. Not only have I been able to share books that I’ve enjoyed (because let’s face it, life’s to short to read bad books) but I’ve been given so many recommendations and my To-Read list keeps on growing not just in number, but in diversity! I’ve also joined an online book club (please, come and join us!) and Goodreads (come on over and let’s be friends) so I can keep track of what I’ve been reading. When I started my reading challenge, I didn’t think about blogging about it because to be honest, I doubted I’d ever finish. Now that I’m nearly half way through and have read some absolutely brilliant books – I feel that the titles are just too good not to share. The only thing is I have neither the time, the energy and more to the point, nor do I have the memory cells to go back to the start, so I’m starting from the middle as it seems as good as place as any! But before we start, here’s a disclaimer. I am a very easy reader. Years of studying English literature at school and uni has taken it’s toll and left me with a very light appetite when reading. I steer clear of books that are too demanding to read so although I won’t shy away from a tricky topic, I will steer clear of a heavy style. You know how some people enjoy light, fluffy holiday reading? Well, as a rule, I like to holiday read all year round. Just bear that in mind when you’re reading my booky beauties – if they float my reading boat, they might not always float yours. I have to admit, I only chose this because of the cute pug on the front. In this story, newly divorced Brydie Benson thinks the rent free home she finds is the answer to her prayers. All she wants is a fresh start but she gets a little more than she bargains for because what she actually gets is an ageing, overweight, depressed dog called Teddy Roosevelt… And a whole new normal. Now, this is no literary masterpiece. It’s pretty predictable but it’s an easy and enjoyable read not least because of all the dog and baking references. I especially love the dog baking recipes at the back of the book. 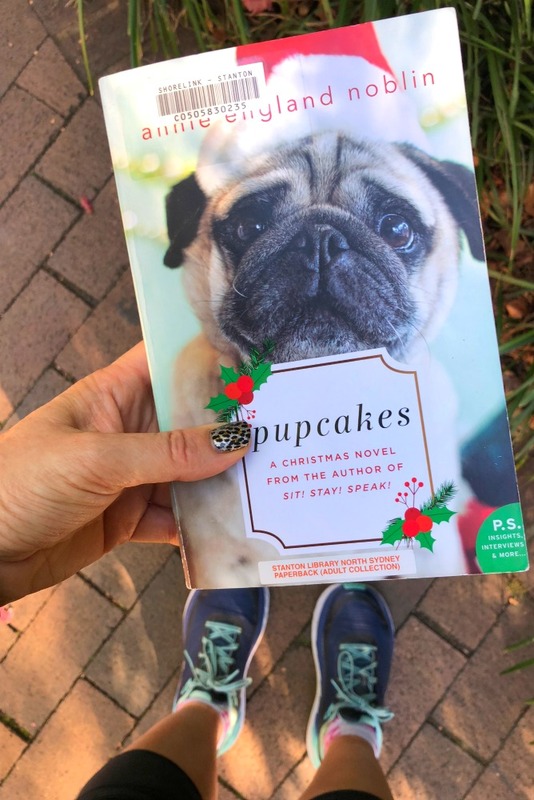 The story takes place from October to December so it’s just the ticket for some festive themed reading, although this book is sure to get your tail wagging whatever time of year you read it! Kurt first came on to my radar on Anh’s Brush With Fame and when my trainer, Kathy offered to lend me this book I couldn’t wait to get my hands on it. 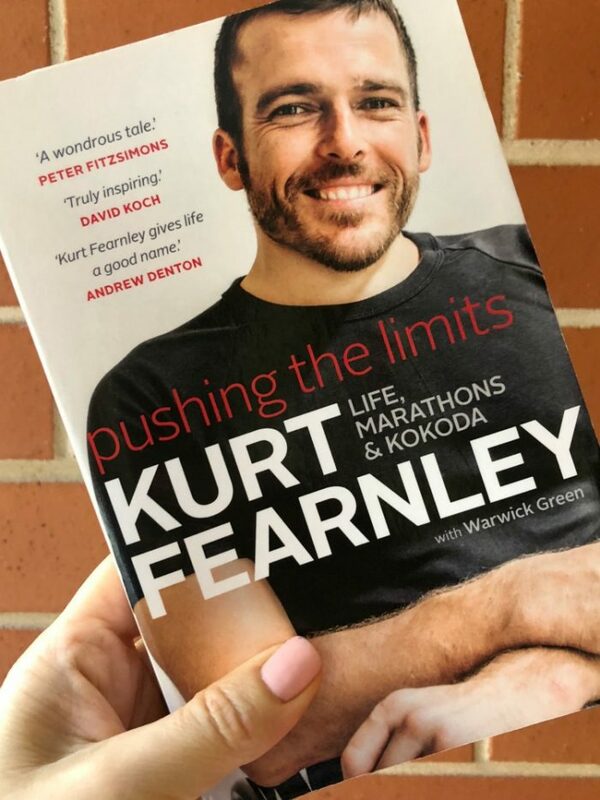 The book tells the story of Kurt’s life from his childhood in country NSW to his awe inspiring sporting achievements and his conquering of the Kokoda Track. This memoir is honest, good value and inspiring – just like Kurt himself. What a legend! I’m not very familiar with this genre and I have to say this isn’t a book that I’d usually choose, but our visitors left this behind and I didn’t want it to go to waste. 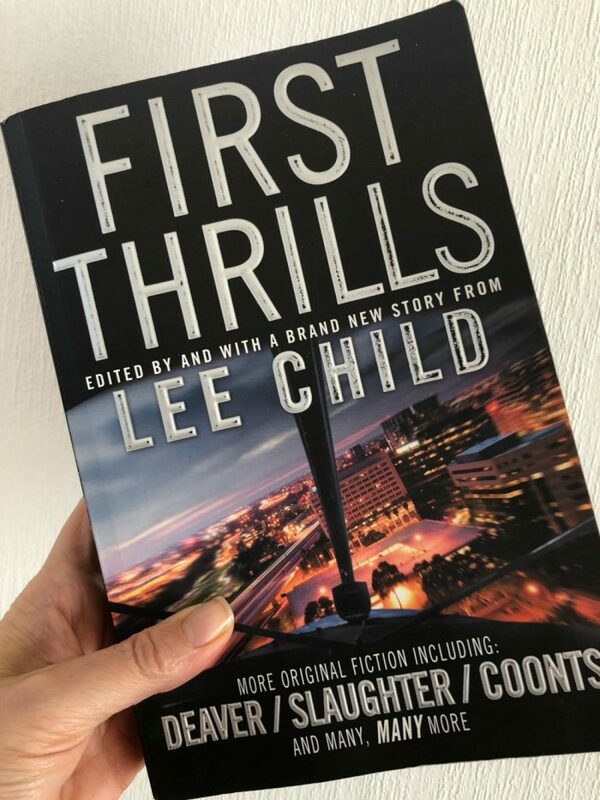 New York Times bestselling author Lee Child and International Thriller Writers Inc present this anthology featuring some of the organisations’ stars and some rookie writers. There was such a variety in the stories, both in the style and the subject with a lot of hits and a few misses. However, the short stories, the variety of writers and the change of genre makes this a refreshing change. I know it’s only August but I’m calling this my Read of The Year. In fact, this book will probably remain as one of my most loved books of all time and Ove will forever have a special place in my heart. Even though I’d already watched the film (and recommend you do too,) reading this book was such a treat. I have devoured a few of Backman’s books this year, including Britt Marie Was Here and Beartown and although they were exceedingly fabulous, this is definitely my most favourite Backman yet. 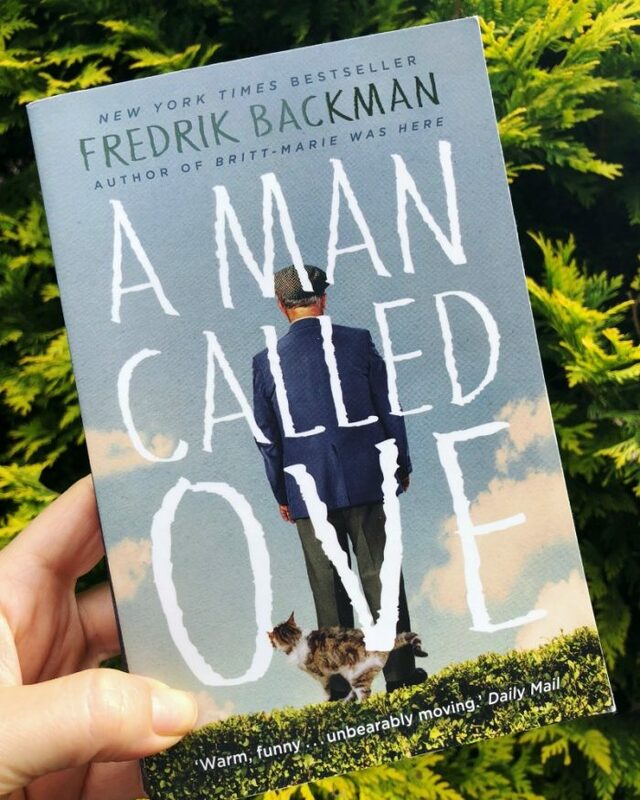 Ove is the archetypal grumpy old man and the story takes place after the death of his wife, showing how healing can occur with the unlikeliest of people, in the unlikeliest of ways. This book has humour, heart and will likely make your eyes leak with tears both of sadness and of joy. I have the worst memory. I’ve actually read this book and watched the film. I recently re-watched the film and it was like I was watching it for the first time. Once I’d re-watched the film, I had to re-read the book and it didn’t disappoint. This is a children’s book so the writing style is basic but the subject matter is very challenging. 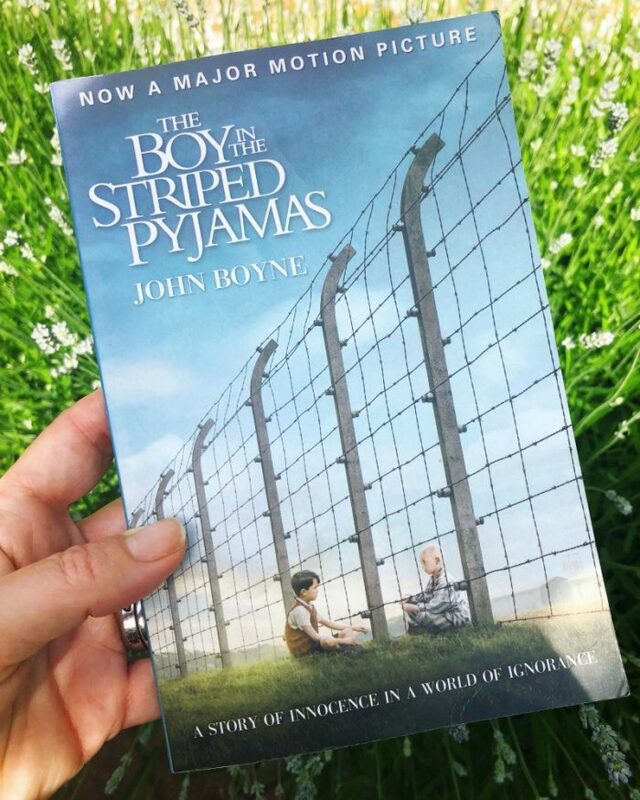 In this heartbreaking story about the holocaust, Bruno’s father gets a promotion and they are forced to move far, far away where there is no one to play with and nothing to do. One day Bruno decides to go and explore the tall fence that cuts him off from the people he can see beyond. That’s when he meets Shmuel, a boy who lives on the other side of the fence whose life and circumstances are very different to his own. This is a friendship with devastating consequences and the ending of this book is one that’s hard to forget (unless of course your memory is as bad as mine.) Tissues are recommended. I’ve been fangirling over Emma since way back – one of my best ever bloggy highlights was when she took part in the She’s So Inspiring series. Tragically, Emma passed away earlier this year but she’s left a real literary legacy with her wonderful books. I’ve promised myself to try and read them all but whether I’ll do so before the end of challenge is doubtful but only because Emma was such a prolific writer. I can hardly keep up! In this story, Jodi Ludlum, a famous actress goes back to her Irish roots to live in a village in Ireland to give her young son a life away from the glitz and glamour of LA. Francine prides herself on being the perfect mother, wife, career woman and baker but for both of these women, life is not as perfect as it seems. The two women become unlikely friends and when they do, they learn that it’s better to be happy than perfect. 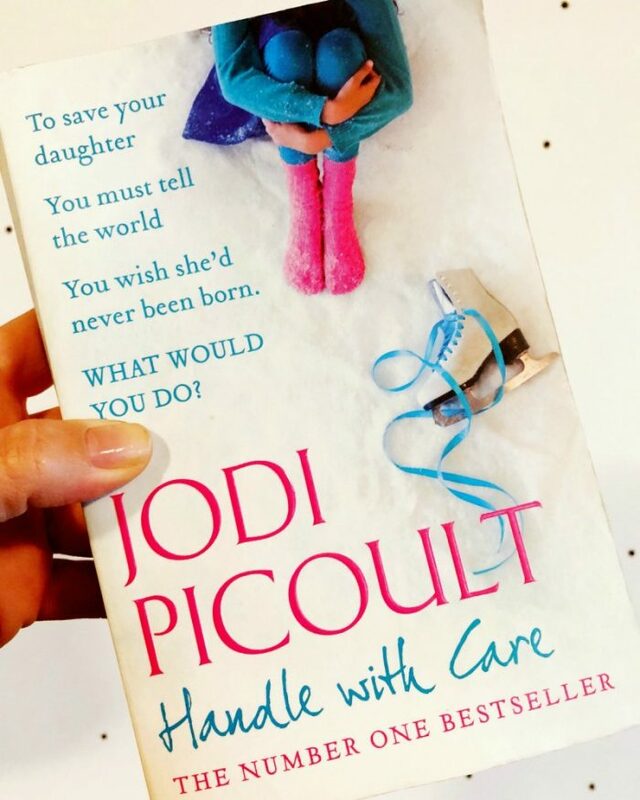 I love that Emma’s characters are so relatable – I’d “met” Jodi in The Heart of Winter so meeting her again in this story was like getting reacquainted with an old friend. 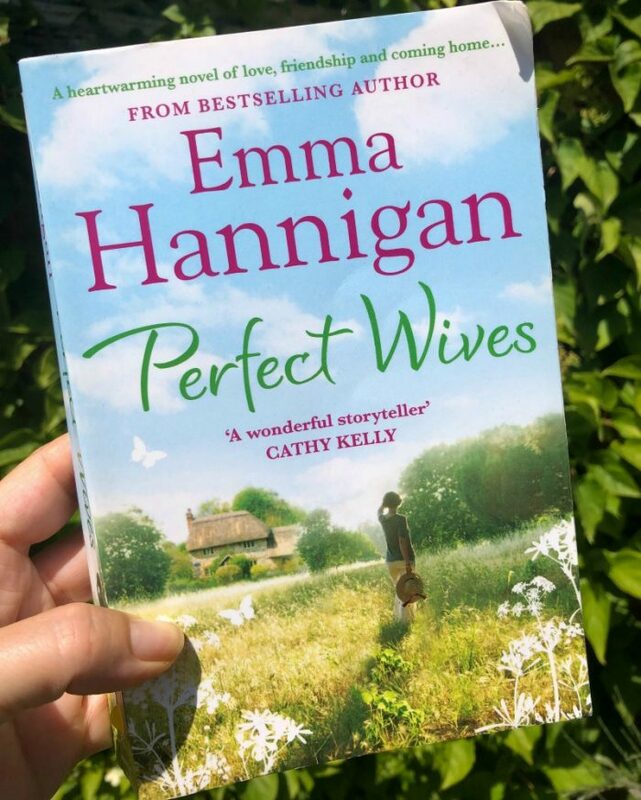 Emma’s books are light, easy and enjoyable and this one was no exception. Although it’s not my favourite of Emma’s books, it was still a pleasure to read. Earlier on in the challenge I enjoyed reading The Summer Guest and The Secrets We Share. When Willow is born with severe osteogenesis imperfecta, her parents are devastated – she will suffer hundreds of broken bones as she grows, and endure a lifetime of pain. Her mother Charlotte decides that in order to get the funds to pay for Willow’s medical bills, she must sue her obstetrician (who also happens to be her BFF) for “wrongful birth.” However, this means she must swear under oath that she should have been given all the facts about her daughter’s illness in time to have an abortion. This is the Piccoult formula at it’s finest – trademark multiple voices, impeccable and through research and more ethical, moral and social dilemmas than you can shake a stick at. The recipes between chapters are a most pleasant diversion because reading this book is like riding an emotional rollercoaster and just like a real rollercoaster ride, when it finishes, you’ll be left reeling. I felt like I was the last person in the world to read this – the book that everyone had been raving about. 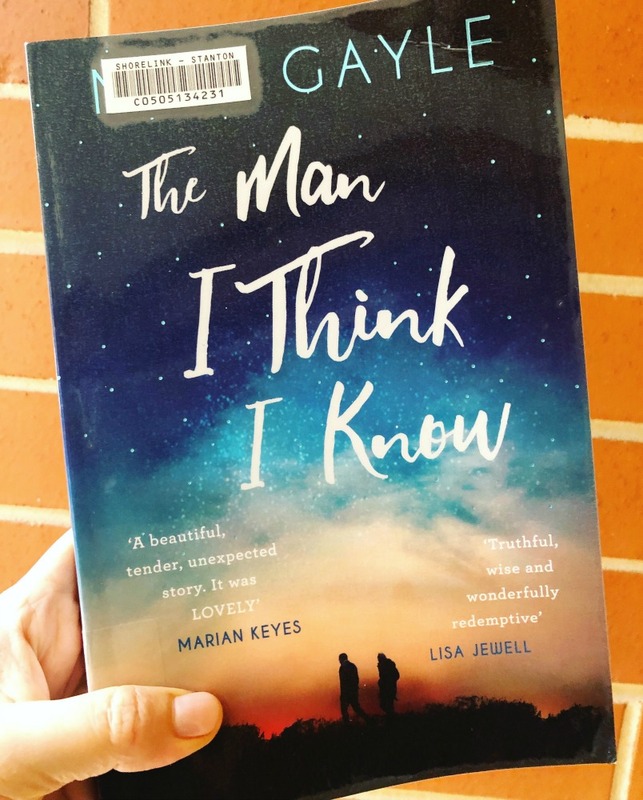 I didn’t have the patience to wait for a library copy so splashed out and bought my own plus it’s the Book Club Book of the Month for August so I needed to get a wiggle on! Of course, Eleanor is not fine. Eleanor is an unique individual with a unique view of the world and an unlikely but endearing literary heroine. 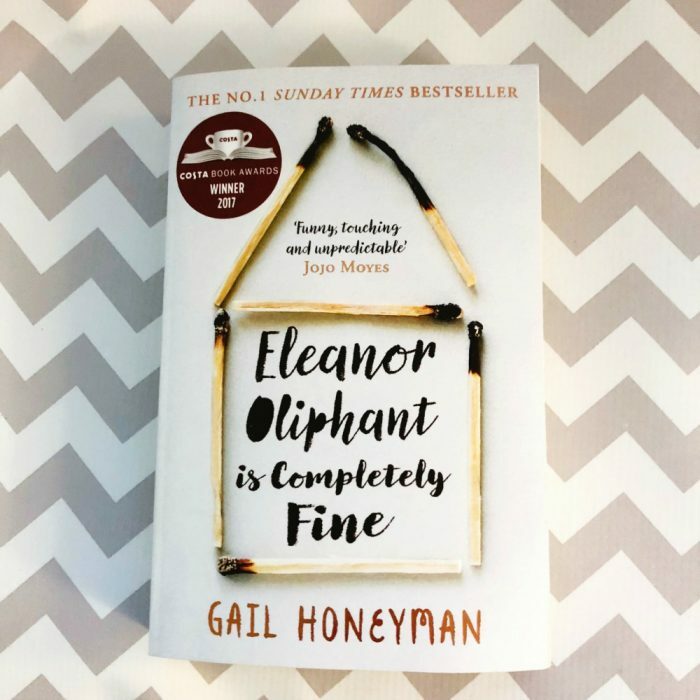 I think Eleanor Wasserburg summed it up nicely when she said “it’s a story about the very worst and the very best that humans are capable of… Funny, brave and utterly devastating.” This remarkable debut novel from Gail Honeyman had me laughing out loud one minute and had my eyes leaking the next. This story has just the right balance of funny and sad and shows the power of kindness and why we all need connections. Reading this was like the literary version of eating a really, really delicious meal – extremely satisfying! Someone recommended this book to me on my Facebook page and I’m really glad they did! I thought this was going to be a story about 13 over privileged women and their love of bright, shiny things. 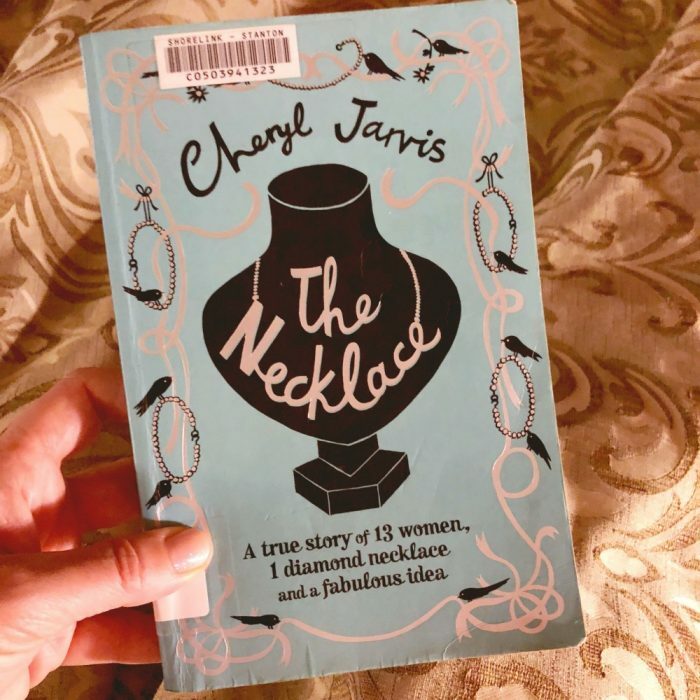 What it actually was, was an inspiring true story about an extraordinary group of women, friendship and how shopping for a necklace was an experience that just not changed their lives individually and as a group, but touched the lives of a whole community. Although I found the style of writing wasn’t my favourite, the individual women’s stories and the collective story they created together really reeled me in. This is the story of an unlikely friendship between James and Danny, who appear very different but turn out to be a lot more alike than one would expect. The story shows how two individuals with the same start in life can end up in such different places and how their our lives can change overnight. The story is told by each of the characters in alternate chapters and you can’t help but cheer them on and admire their heart and courage. This is the book that made me fall back in love with Mike Gayle. To be fair, I had never fallen out of love with him, let’s just say our reading relationship had been shelved (in other words he’d fallen off my reading radar.) I’m a huge fan of Mike but this has to be his most poignant, powerful and heartwarming tome yet. This powerful story of male friendship is warm, witty, wise and will warm the cockles of your heart, unless of course it is made of stone. Have you read any of these? Do you want to? Tell me your top picks, I’m always looking for titles to add to my To-Read List!